How do you measure weight loss success, if you are practicing adding healthy diet habits in your life? Is success all about the scale and what it says? If your scale shows a happy weight, you'll be happy? Is that how this works? What is weight loss success and how should you measure it? Weigh yourself once a week. Weight loss is variable and can vary up to a few pounds each day, according to your salt intake and hormone levels. It is very difficult to base your life on your weight. Plot it on a graph and it should be going down little by little over time. But, it is an up and down process so weighing daily can be depressing. Weight varies within a few pounds and can mean different things. Most of us have about a 4 pound span of weight that we vary between. You could weigh 140 and be at the top of your 4 pound span (136 to 140), or you could be 140 and be at the bottom of your 4 pound span (140 to 144) and really there could be almost 8 pounds between those two weights. You could really weigh 136, but you ate a lot of salt or you could weigh 144, but you are a bit dehydrated. Therefore, you see the scale does not tell the whole story accurately on a day to day basis. Keep a pair of pants that you can fit into at your lightest weight and try them on each week. The scale might be stuck but your pants fit better. Success! Maybe you have 3 sizes of pants that you want to decrease and go a pants size at a time. That is weight loss success! Measure yourself with a tape measure. You may have lost inches, but not weight because muscle is heavier than fat. Be encouraged because your tight pants will fit better! Keep a photo of yourself at your heaviest weight next to your bathroom mirror. Check out your face. Faces lose weight and look more defined. It is hard to notice these changes ourselves because they take place so slowly. It is so obvious when you see your photo. Be encouraged. Success is not all about your weight. It is about your health also. It is about your blood sugar, cholesterol, blood pressure, and many other measurable health statistics. Check with your doctor and keep a copy of your records from year to year, to see your changes and be encouraged! Keep up with your exercise habits. Are you exercising more and feeling less depressed? Maybe eating smaller meals and balancing your blood sugar has increased your happiness because your afternoon grumpiness is gone. That is a huge success story. 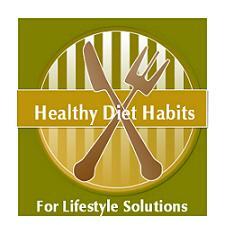 It is about the healthy diet habits you are instilling to your family also. Maybe your have increased vegetables and fruits in your meals and adopted many Mediterranean lifestyle habits to your diet, as well as switching to whole grains and 100% whole wheat products from refined grains. That is success. Measuring your success is not all about the scale, like the diet industry would have you believe. Small changes can add up to huge health improvements. Do not buy the lie that if you do not lose all of your weight, you are not a success story! There are many other ways to measure Lifestyle Solutions besides the scale! SHARE YOUR Weight Loss Success Stories (and pictures if you dare...) with the Healthy Diet Habits readers and become part of the website! !